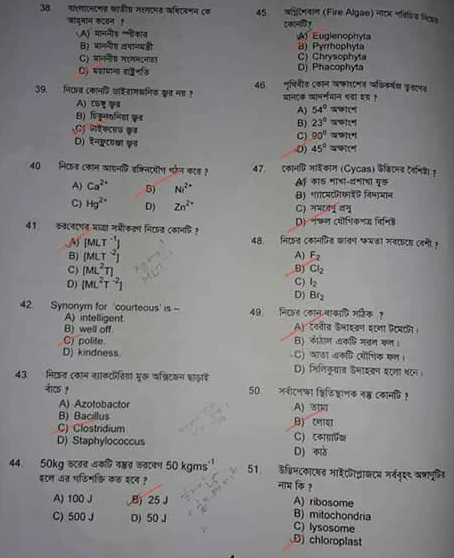 Medical MBBS Admission Question Solution 2019-20. 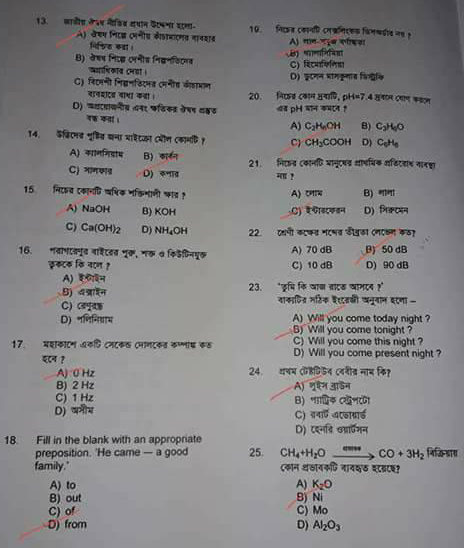 Bangladesh Dental Admission Question Solve 2019-20. 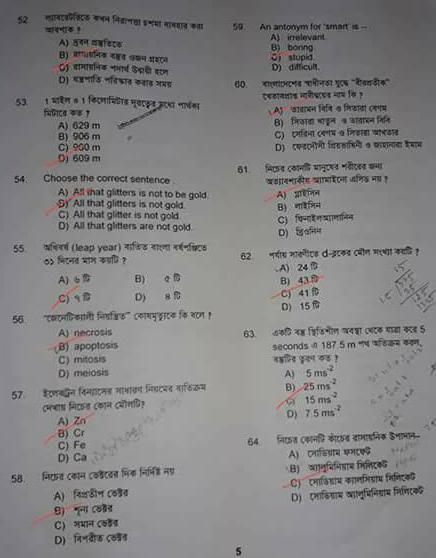 Medical MBBS and BDS Exam Question Solution 2019-20 held in last Friday. 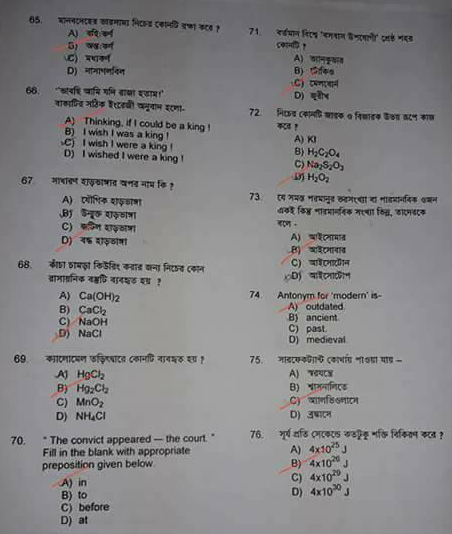 The exam held in 100 marks MCQ. Medical MBBS exam time 1 hour along and like every year this year MCQ exam for 100 marks and also depend on SSC and HSC pass Grade point. Now come and see the solution of Medical MBBS And BDS Admission test. In this session, there are 3162 seats in 29 of the Government Medical College and 5325 seats under 64 private medical colleges for MBBS course. On the other hand, there are 532 seats for BDS courses under 29 public dental colleges and medical colleges in dental unit and 1080 seats in 24 private dental colleges for academic session 2019-2020. Medical MBBS Admission Exam Will held 6 October 2019 and Dental (BDS) Exam Will Held 30 November 2019. MBBS and BDS Medical exam held for 1-hour long MCQ (Multiple Choice Question) exam for 100 marks and include the SSC and HSC exams results or points with it to get chance for any treat at medical. Let’s Check your most wanted the Medical Admission Test Question Solution 2019 which is also called as MBBS & BDS Admission Test Question Solution 2019-2020. So keep on your eyes on our website and get all updates. Medical Admission test will taken in total 200 Marks. For HSC and SSC results among them 75 Marks for SSC Result and 125 Marks For HSC Results. Among them 100 Marks for Admission Test Question Answer. Now we will show you how to multiply GPA. GPA Calculate with additional (4th) subject. First multiply SSC Result GPA x 15 , than multiply HSC Result GPA x 25, Than Add SSC + HSC + Admission Test Marks and Get Your Admission Result. For Example: Your SSC Result = 5.00 and HSC Result 5.00. Admission Test Result= 5.00×15+5.00×25+70= 270 (Your Admission Result). Medical Exam Will held at 35 Centers of 22 Public Medical College and One Dental College. Medical Admission Result 2019-20, Medical Admission Circular 2019-20 Will Publish by Directorate General of Health Service. If DGHS authority will update any information about Medical Admission Circular 2019, we will update here. If You get more update Everyday, Please like our Facebook Fan Page and get Updates.